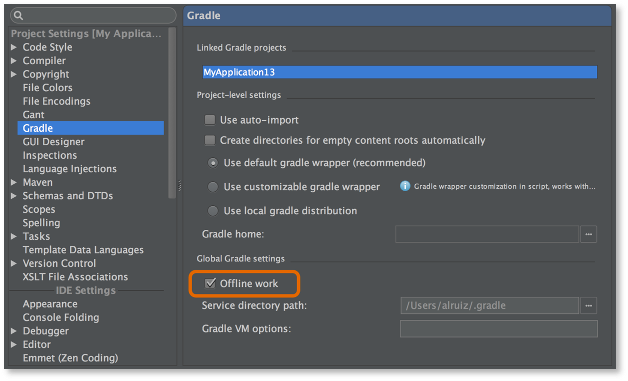 New bundled version of IntelliJ 13.1 EAP build. Full release notes for the two new 13.1 EAP builds we're picking up: 134.1160 and 134.1342. Similarly, it will check your String.format calls to ensure that the types of the parameters match the formatting conversion specifiers found in the value resource files. Other newly incremental checks include the array size check, the unknown id check, the missing orientation check, the locale check and the text field input type check. A large number of bug fixes! NOTE: If you are on Mac OSX, and you have modified your Android Studio's Info.plist file to use Java 7 instead of Java 6, the IDE may not start. See the Known Issues document for workarounds. 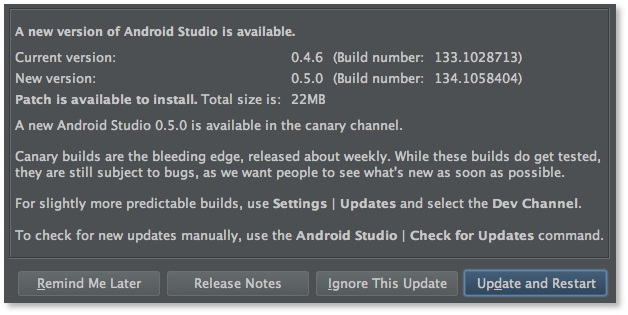 If you need to download a full install, visit the Android Studio Canary Build 0.5.0 page.